Laurie’s note: For the month of December, I’m sharing one of our family holiday traditions…reading Christmas books. See what we’re reading. 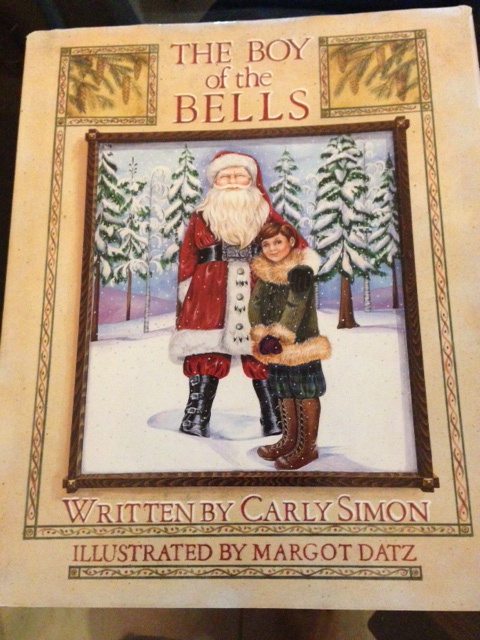 Today we’re reading The Boy Of The Bells by Carly Simon, illustrated by Margot Datz. The story tells of a boy named Ben who wants his sister to talk again after a year of silence. And he has an idea. He summons Santa early on Christmas eve to see if the jolly man can help. There’s a subtle message about how doing one’s best and giving it all your have can change things. Love this book! 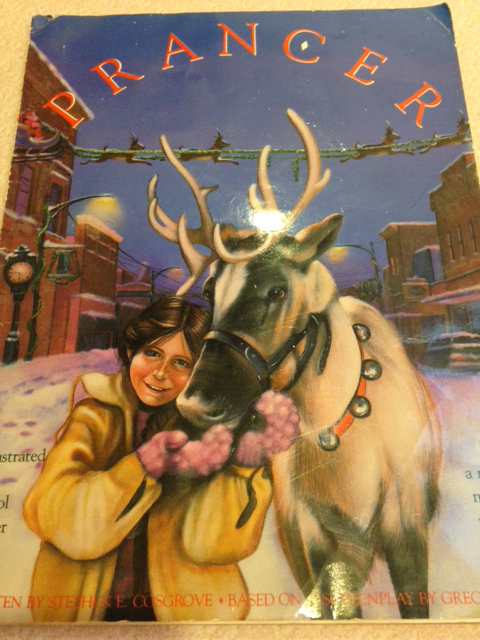 Book of the day, Prancer by Stephen Cosgrove, Illustrator Carol Heyer. What kid doesn’t love to read about reindeer? With Christmas right around the corner, Jessica discovers an injured reindeer she believes is a member of Santa’s famous team. Based on the screenplay from the major motion picture from Orion Pictures. Heyer did a fabulous job with the artwork. 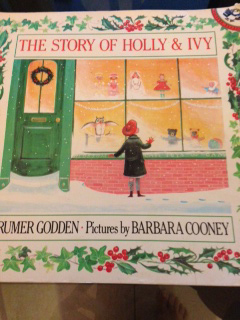 Today’s book is The Story Of Holly and Ivy by Rumer Godden, illustrated by Barbara Cooney. A heartwarming story about Christmas wishes, Ivy, an orphan, wants a doll and a grandmother, Holly, a doll, wants a little girl to love her, and a couple wants a child to share their holiday. This is the sort of story that reminds me how fortunate I am to have my wonderful family. 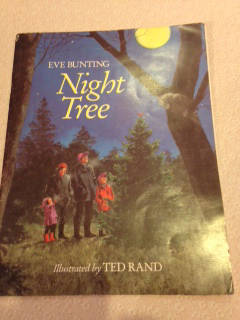 Our Christmas book today is Night Tree by Eve Bunting. The story is about a family that travels into the woods one evening before Christmas and hang treats they’ve made for the animals. We like to make goodies and hang them on a tree outside. Each day in December leading up to Christmas, we choose a book from our reading basket. Of course the Treasure Hunt Game Books are included. But I thought I’d share our favorites as we get closer to Christmas. What is your favorite Christmas book? Order A Treasure Hunt Game Book Today! We have two Christmas themed game books. You can find them on Amazon.